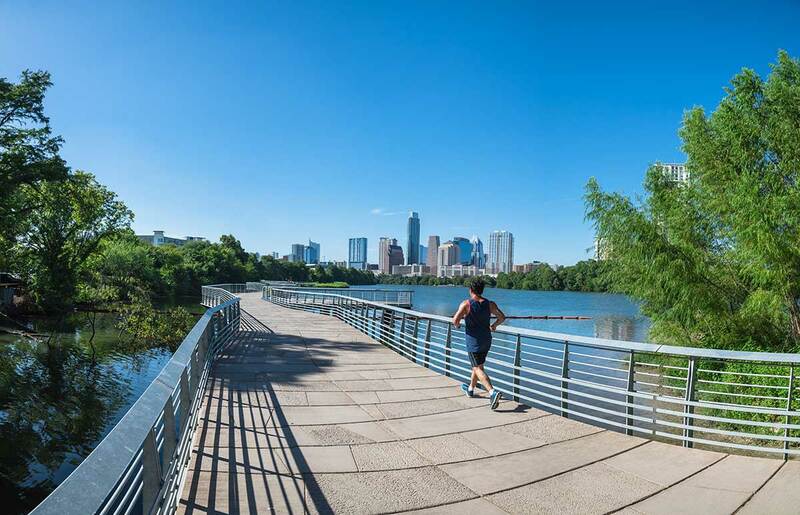 Austinites LOVE to spend time outdoors, and its no wonder as the city boasts many opportunities for appreciating its true beauty. Cool off on a hot summer day at one of Austin's infamous swimming holes or grab some friends for a game of frisbee at Zilker Park. Enjoy both nature and the picturesque skyline of downtown while kayaking or paddle-boarding on Lady Bird Lake, or go for a horseback ride along the scenic Onion Creek Greenbelt. Ascend the scenic Mount Bonnell, or spend a day hiking, biking, swimming and picnicking at one of Austin's natural oasis' including McKinney Falls Park among many others. Hundreds of miles of amazing hiking and jogging trails allow for new discoveries of nature and beauty at every turn. Its time to get out there and begin exploring! Create your outdoor bucket list using the information provided below!